April 10, 2018 – IK Multimedia is offering a white color option for its best-selling iLoud® Micro Monitor, the smallest active studio reference monitoring system in the world. With an ultra- linear frequency response, best-in-class bass (down to 55Hz @ -3db), the smallest footprint and incredibly detailed sound, iLoud Micro Monitor is the ideal reference monitoring system for tight spaces, delivering high-end sound without the high-end price. 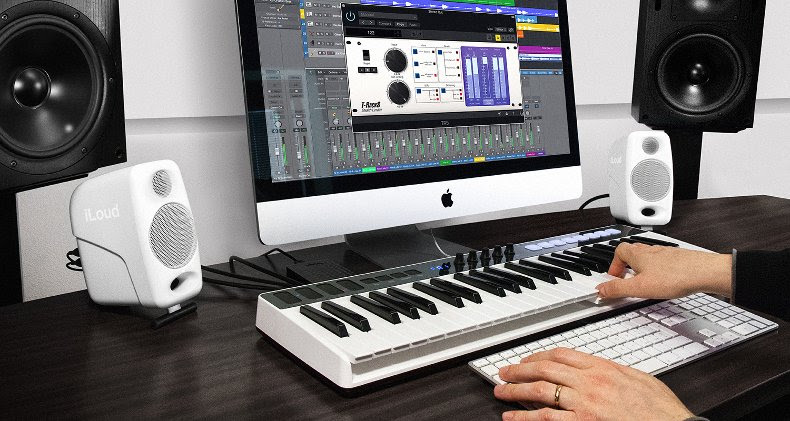 With iLoud Micro Monitor, musicians, producers, video editors and sound designers can critically listen to their music no matter what scenario they’re in – a bedroom studio space, hotel room, tour bus, a larger studio needing a second set of monitors for nearfield monitoring, or just streaming music and listening at home. iLoud Micro Monitor delivers detailed, clear and accurate audio in a compact, efficient and portable enclosure complemented by pleasing high frequencies, an “open” detailed midrange and a solid, controlled low end.